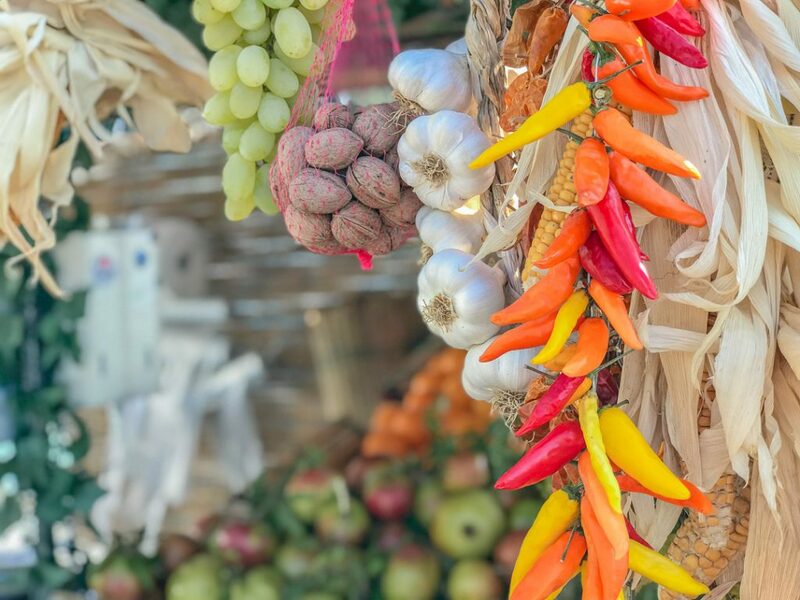 Amalfi Coast escorted tours are extremely popular as the coast is difficult or impractical to navigate – but what sets a tour operator apart from others? 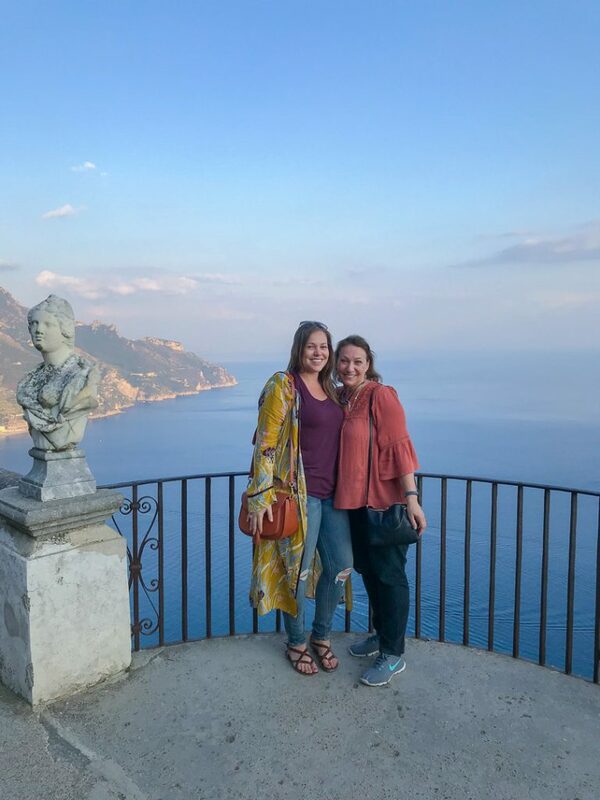 Visiting Ravello and Amalfi with Amalfi with Amalfi Coast Tour was the greatest decision I made when traveling to the Amalfi Coast! 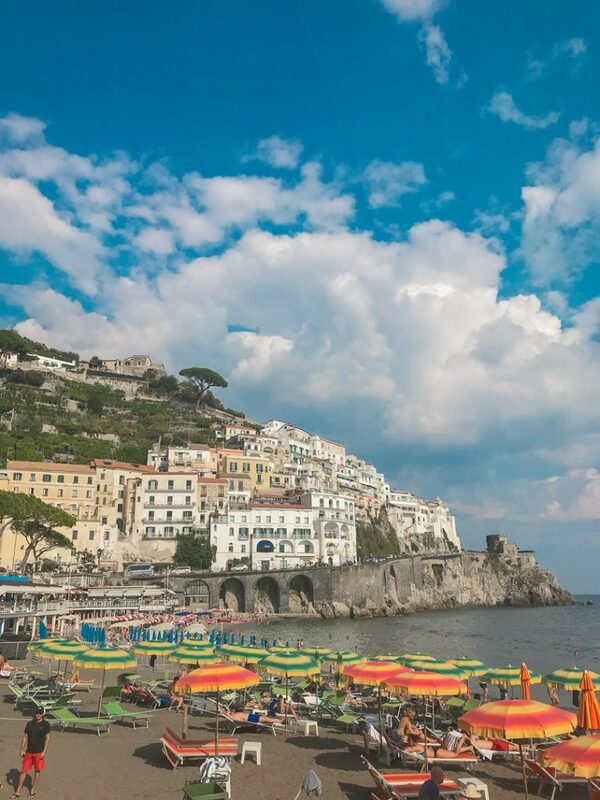 Luigi’s Amalfi Coast private tours are everything you’d want from a tour around the coast – and then some. The first time I traveled to the Amalfi Coast in 2013, I was overly ambitious and decided to drive. When planning my trip for this year, I knew I wanted to hire a tour guide as opposed to driving the hectic coast on my own. 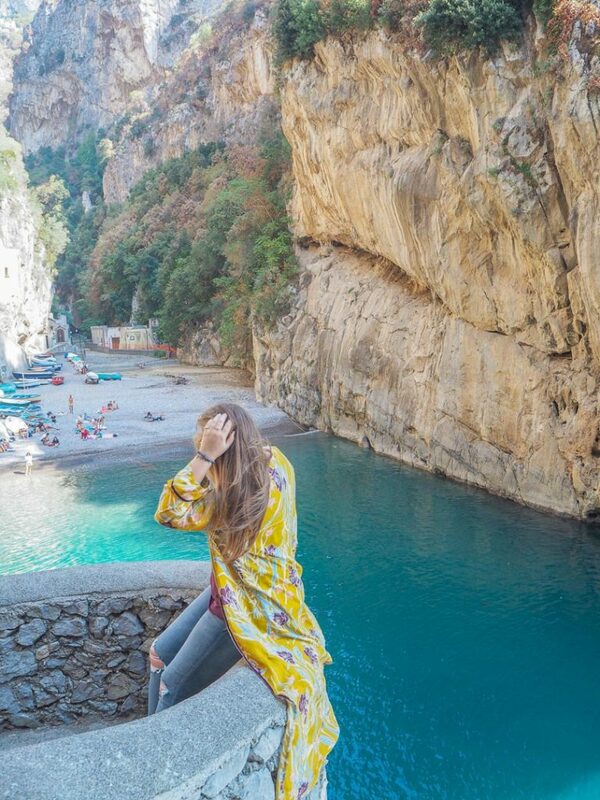 I found Luigi, who owns and operates Amalfi Coast Tour, via my favorite app – Instagram! His bright, colorful feed featuring tons of photos of food and vies around the coast instantly captivated me. I contact Luigi via email and received a reply less than 24 hours later (points for promptness!). 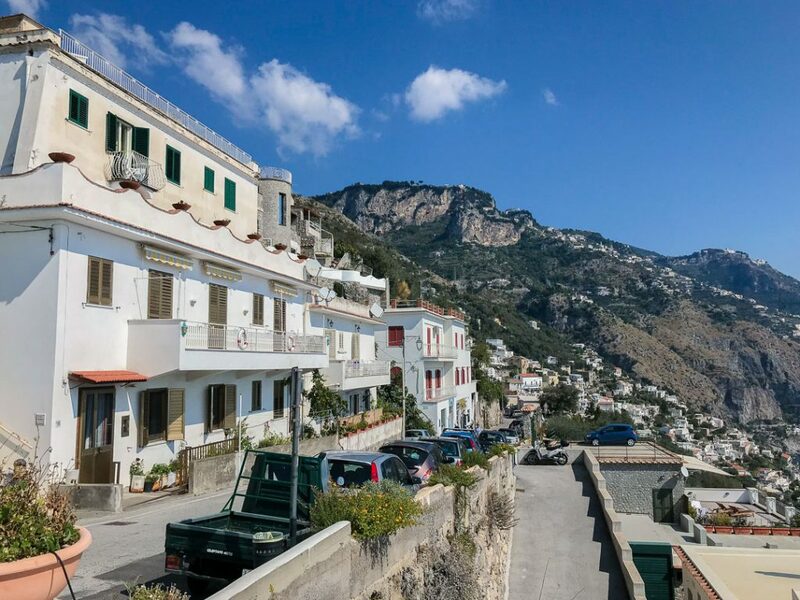 He was professional and to the point, explained what days he’d be able to accommodate my mother and myself on a full day tour and asked me if I’d prefer to ‘make my own Amalfi tours’ or to pick one of his pre-set tours. 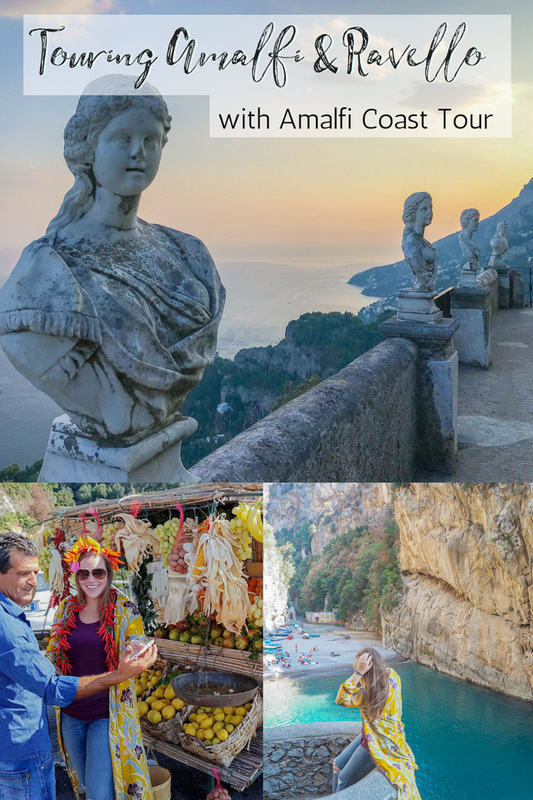 I had a day-trip to Capri and a day-trip to Positano scheduled prior to my Amalfi Coast tour with Luigi, so I opted to create my own tour with highlights in Amalfi and Ravello. 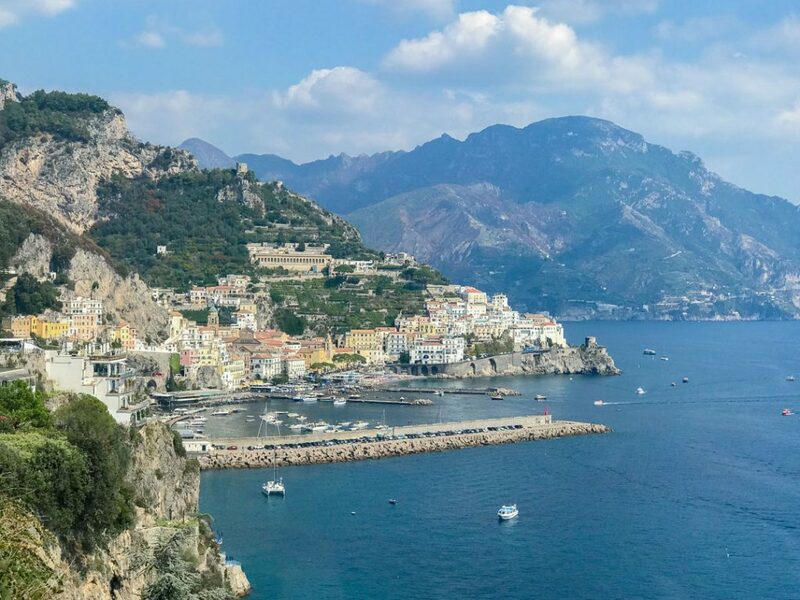 For more about my other days on the Amalfi Coast read my 5-day Amalfi Coast Itinerary here. After communicating via email – Luigi and I exchanged phone numbers and began to chat and plan my day trip via WhatsApp (which was much easier and more efficient than emails!). I had a few stops I wanted to make along the route and asked Luigi to plan any extra stops for “must sees”. 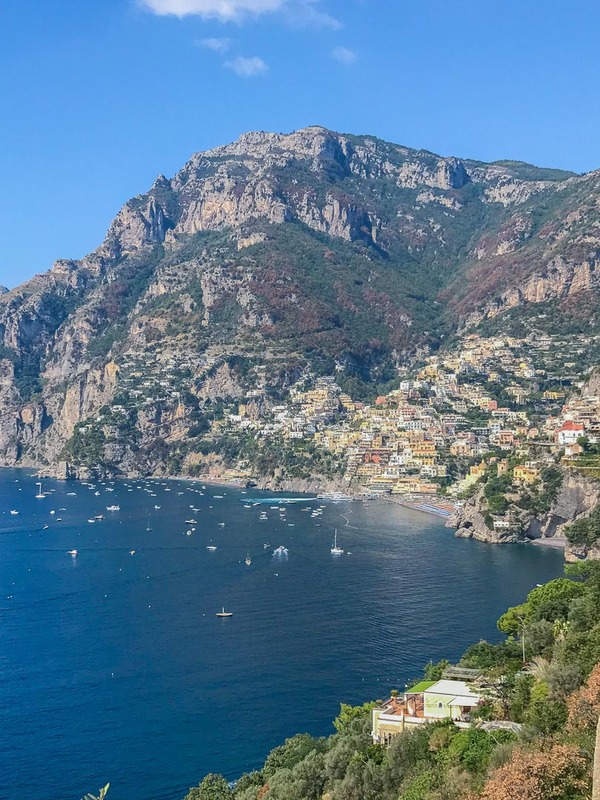 When planning my Amalfi Coast Tour I reiterated to Luigi that “viewpoints” were a must-do, as well as stopping at the only fjord in Italy (conveniently located along the coast) as well as time in Amalfi and Ravello. I also explained to him that the day we were touring together was my parents’ anniversary. Since my parents weren’t together for their anniversary – I wanted to take my mom to a special place for dinner. Luigi suggested we schedule our pick up for 9am – being that there was so much we wanted to stop and see during the day! Luigi met us right at the front door of our hotel in Sorrento in his very comfortable (and quite luxurious) sedan. The plush leather seats were super relaxing to sit back and look out the window at the gorgeous views and hues of the coast. Luigi had a cooler with chilled water ready for us! He even remembered that I had told him it was my parents’ wedding anniversary and he wished my mom a Happy Anniversary! After hitting the road our first order of business was to stop at a few viewpoints. These stops would never be possible if taking an organized Amalfi Coast tour! We stopped at a few view points that are along the coast between Sorrento and Positano. Our first stop overlooked this cute little beach. We would have never known was down there if it weren’t for Luigi! 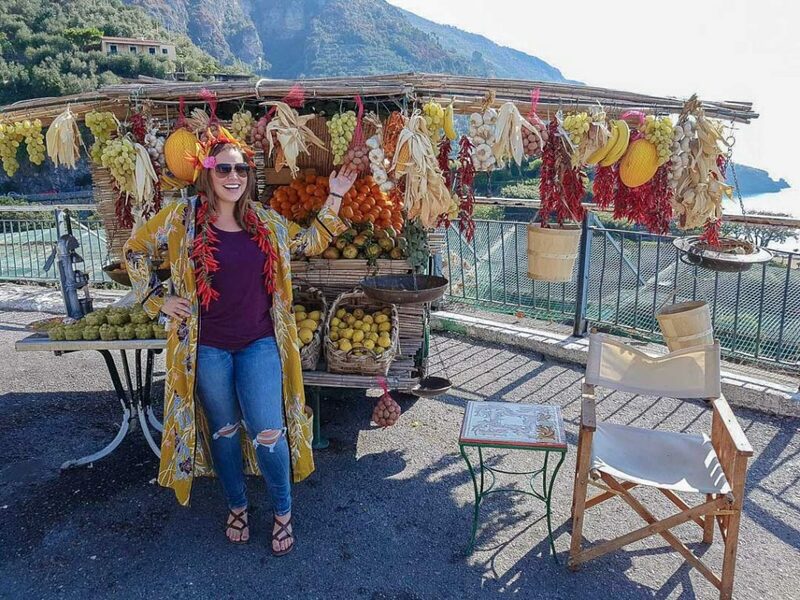 One of my favorite stops – and an added bonus – was a fruit stand just outside of Positano. Why was it a bonus? I had stopped at this exact fruit stand in 2013. And even better? The owner was the same man I met four years prior! During both stops the owner of the stand adorned me in peppers and positioned me for a photo. I showed him the photo of me in 2013 that he took and he melted. It was one of those truly special moments during my travels and I can’t thank Luigi enough for adding this fruit stand onto my itinerary. I would’ve never thought to ask! Isn’t the produce along the coast *swoon* worthy?! Luigi captured this photo of me showing the happy produce stand owner the photo of me from four years prior! The photo of me (at the same stand!) in 2013. The remake of the same photo from years ago! 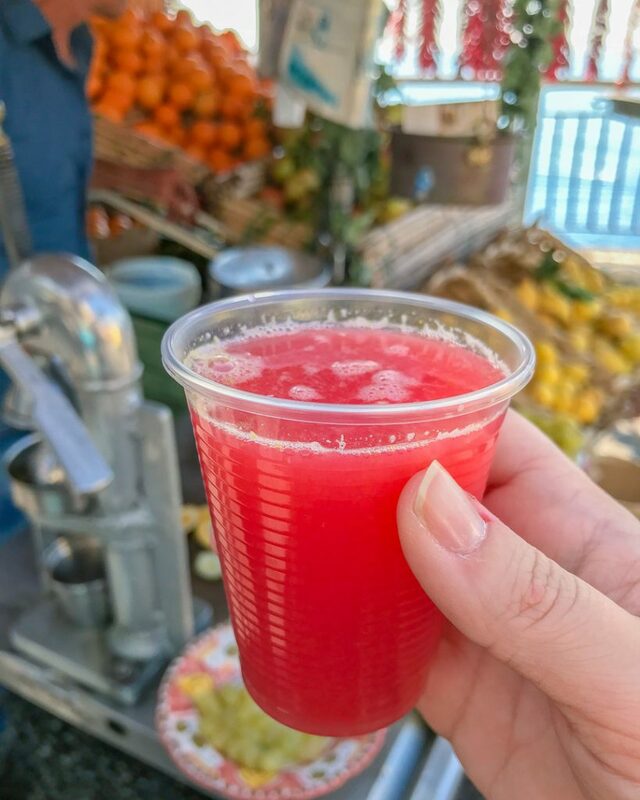 We even indulged in a freshly squeezed pomegranate-lemon and orange juice. Positano is essentially the mascot of the Amalfi Coast and even though we had spent the whole day here prior, we drove through the town with Luigi. We also made a few pit stops before and after Positano to see the views of the iconic city from afar! From Positano we made our way to Priano, a smaller town along the coast that Luigi wanted to ensure we saw! While it wasn’t on my initial list of “must-sees” I’m glad that Luigi went ahead and added this stop to our itinerary. The views and hues of Positano from before(left) and after (right) the town. Exploring a bit around the town of Priano. After wandering a bit around Priano we headed to the fjord! I was super excited for this stop as I had seen it all over Instagram for the whole year prior but had no idea that it existed the first time I visited the coast! Luigi explained that cars aren’t allowed to hang out for too long around the fjord so we made our way down quickly, took in some views and hues and headed back up. The views of the fjord were GORGEOUS and since I was traveling in off-season the beach wasn’t swarming with people! 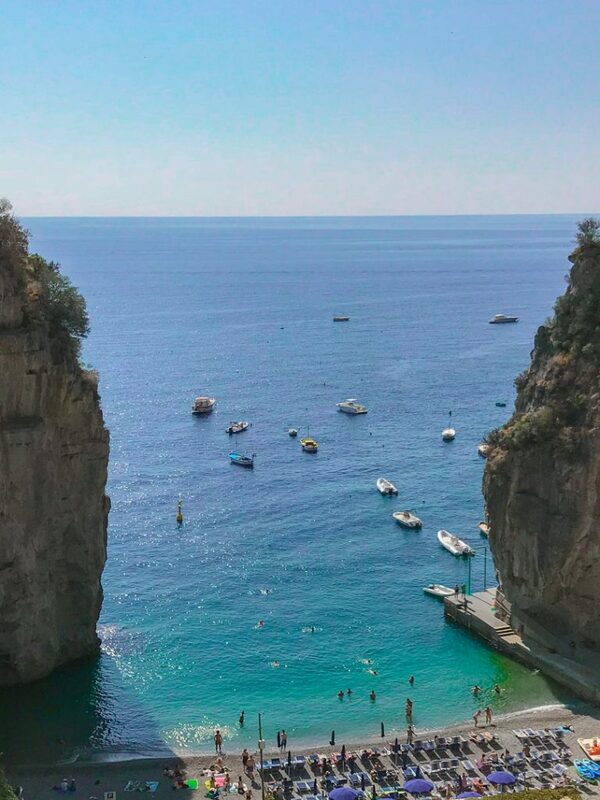 The next stop was to one of the beaches of the Amalfi Coast – one that I didn’t know existed! This was another stop planned by Luigi that I totally would have missed otherwise. His knowledge of the coast makes for these super special stops you wouldn’t have ever known about. After stopping at the beach we saw a sign for a grotto and although it wasn’t planned – Luigi stopped for us to go enjoy the grotto! We had missed the grotto in Capri so this was a great last minute – surprise stop. This beach caters to locals, more than tourists, it was nice to see a side of the coast I wouldn’t have otherwise seen! Next up on my Amalfi Coast Tour was the town of Amalfi! I had never actually been to Amalfi – just drove through so I knew I wanted to stop in Amalfi for lunch. 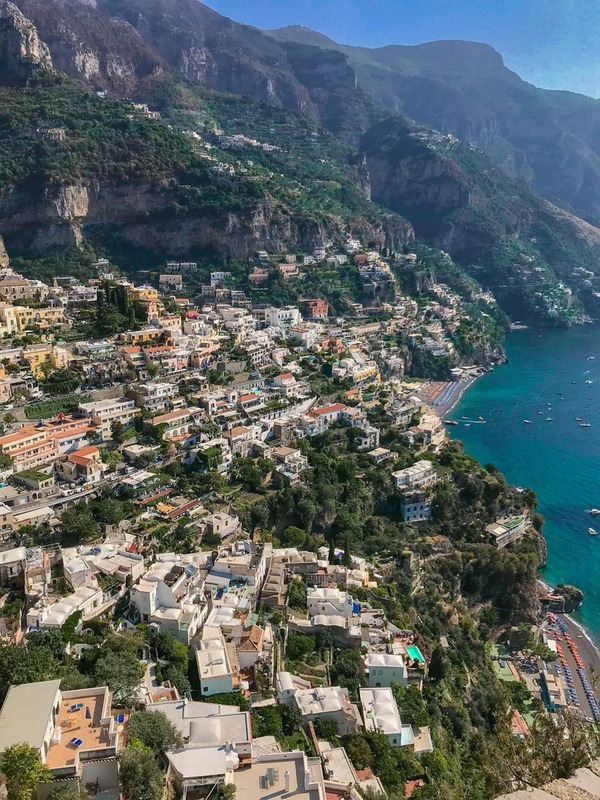 We decided we needed about two hours in Amalfi to explore a bit – and eat a bit. Luigi dropped us off by the beach and pointed out where he’d be waiting for us when our time in Amalfi wrapped up. He also noted to simply message him if we decided we needed more (or less) time in Amalfi. Before arriving in Amalfi we stopped at this viewpoint to take in the gorgeous views of the city! The main plaza of Amalfi is infamous for the Duomo (cathedral) and it’s subsequently pretty touristy. There are dozens of cute shops that specialize in any and everything lemon scented, custom made Italian leather sandals, jewelry, clothing and more. My favorite stop was La Scuderia del Duca – a cute little paper shop just outside of the Duomo. 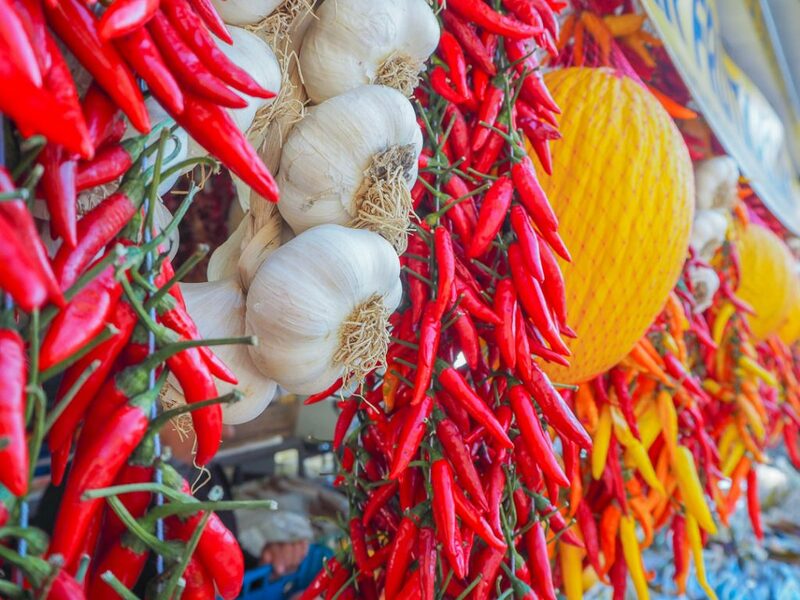 We wandered the streets of Amalfi – popping in and out of shops before sitting down for lunch. 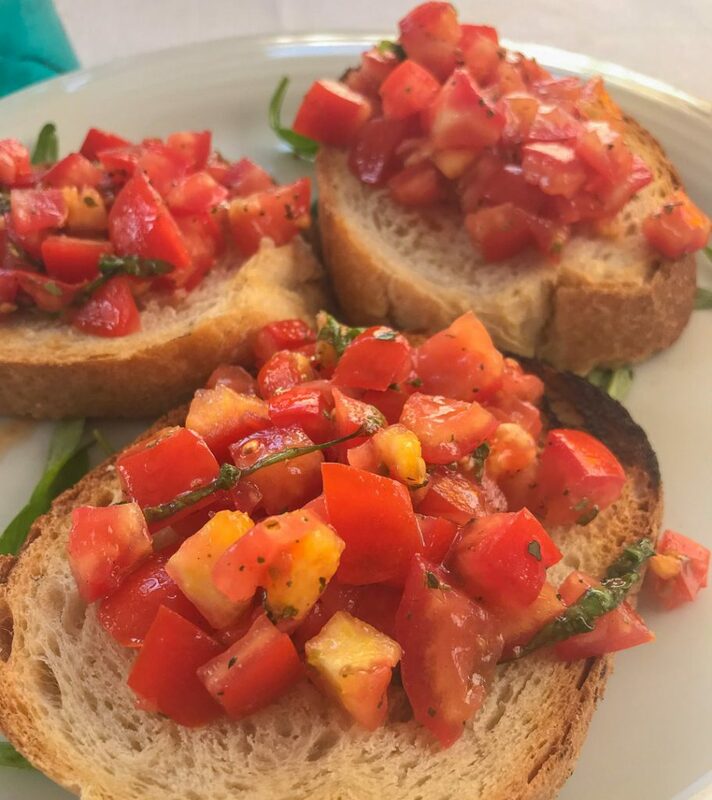 I had the best bruschetta ever. It was so good I forgot to take the name down of the restaurant we had lunch at! 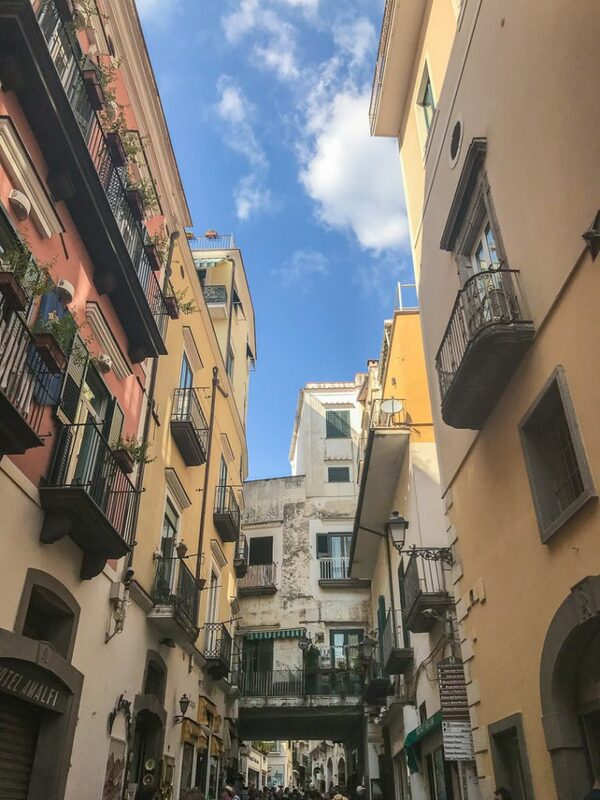 Even in “off season” you can still see lots of tourists heads bobbing through the streets of Amalfi! Even the view from the pickup point Luigi pointed out to us was beautiful! After getting in our fill of the views and hues of Amalfi we met back up with Luigi and began to ascend the mountains up to Ravello. Along the way Luigi pointed out the views of the smaller town of Scala. We made it up to Ravello where Luigi dropped us off to explore the city before dinner. He conveniently pointed out another pick up location and again reiterated to us to simply send a WhatsApp message should our plans change at all. He also asked me to give him about a 15-minute notice before we were ready to get picked up – just as our dinner plans weren’t 100% definitive on a time that it would end. The views of the town of Scala, on our way up to Ravello. 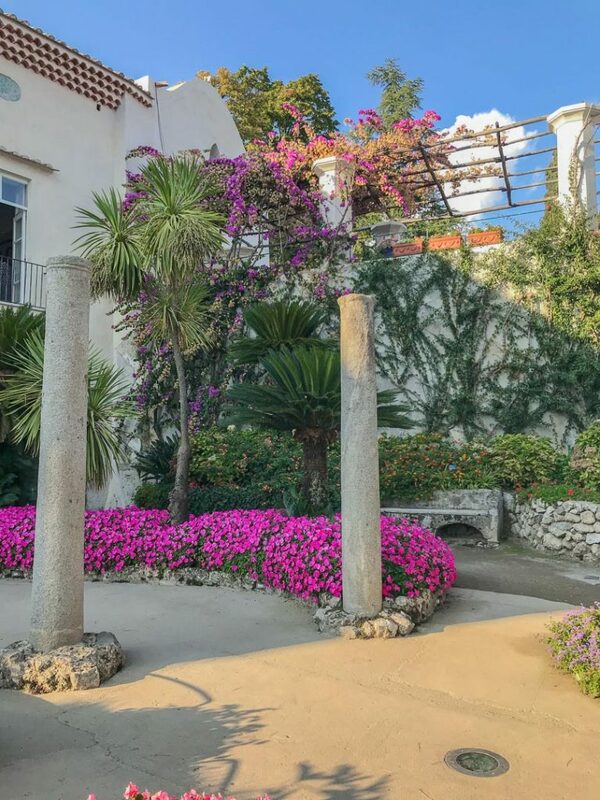 We self-guided our way around Ravello, exploring the streets and paying a visit to Villa Rufolo and Villa Cimbrone. You can read more about how to spend the day in Ravello in my 5 Day Amalfi Coast Itinerary post! After exploring we had dinner at Villa Maria – which was super special for my mom and me! In 2013 when I visited the Amalfi Coast I sent my mom a photo of Villa Maria’s organic garden with a sign that directs you to enjoy their produce in their restaurant. Being that my moms a huge organic gardener – she LOVED this! I knew I had to plan dinner at Villa Maria and we were not disappointed in the slightest! (left to right) Views at Villa Rufolo, my mom and me at Villa Cimbrone and the entryway to Villa Maria. After we wrapped up dinner I sent Luigi a message that we were ready to depart and we made our way down the wandering alleys and streets of Ravello to the pick up point. Luigi also explained that we’d be taking a “back route” back to our hotel in Sorrento, instead of driving the longer way along the coast – which wouldn’t have been worth it as it was dark and the views were gone! Along the route back to Sorrento we engaged in some really interesting conversation with Luigi. It was really great that there was no real language barrier and we talked a bit of politics and a bit about my home city of New York. He also took us to a GORGEOUS viewpoint overlooking the entire city of Naples at night which was glowing with a gorgeous orange hue. Luigi also went on to explain the rules of the road in Italy to me which not even the rental car agent could do. It wasn’t part of his official Amalfi Coast Tour offerings but it was much appreciated nonetheless. 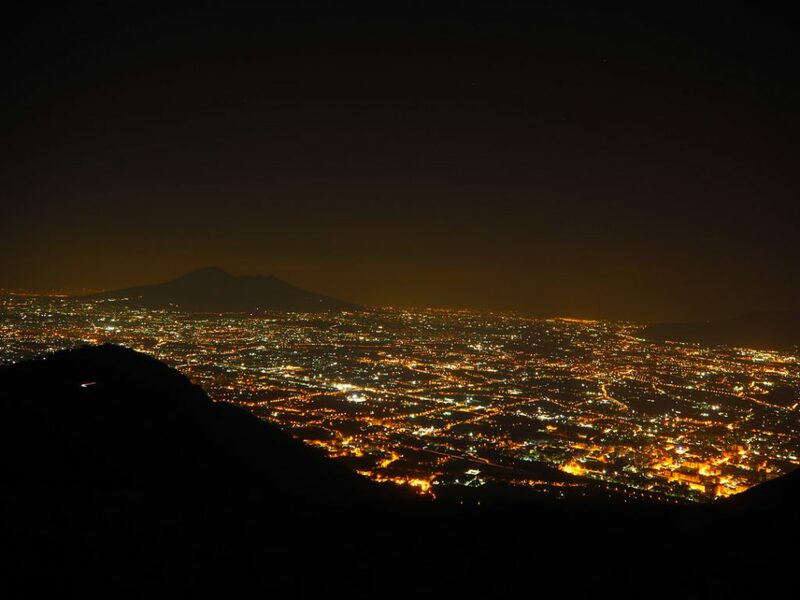 The views of the city of Naples at night. Luigi also went above and beyond the call of duty the day after my tour. I was departing the Amalfi Coast that next morning and I had extreme pain in one of my teeth. I wasn’t able to knock the pain out with over the counter meds and knew I had to get to a dentist. Have you ever tried to find a dentist in a foreign country? HA. I was googling and googling to no avail and that’s when I decided to ask Luigi if he could refer me to his dentist. I mean, he lives on the coast – he must know a dentist! Not only did Luigi know a dentist to refer me to – he also met me at the dentist to make sure there was no loss of communication between us. This proved to be extremely helpful when we couldn’t believe that the whole cost of the dental visit was 50 euro – he went ahead and reassured us that, yes, it was in fact only 50 euro for a consult and an x-ray. He even came with us to the pharmacy to ensure I acquired the proper medications! Talk about top-of-the-line service! 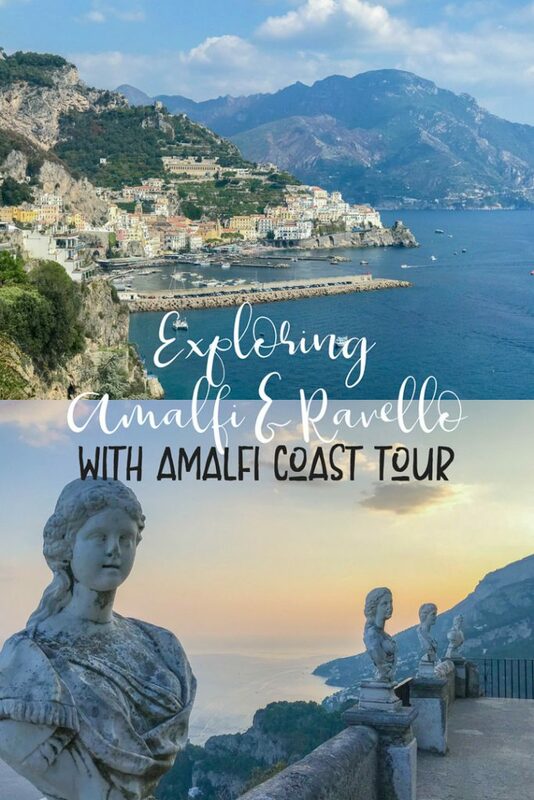 There are heaps of reasons I can list as to why I’d suggest an Amalfi Coast private tour and Luigi and Amalfi Coast Tour exude all of them and then some. Luigi grew up along the coast and therefore knows it better than I, or any tourist, ever could. Even with a month of research I hadn’t self-discovered all of the viewpoints and bonus stops that Luigi took us to! I feel like such a spoiled American listing this – but it’s necessary to note! Luigi speaks perfect, fluent English which made chatting during our tour easy breezy. It also made pre-tour communication flawless. Many times when communicating via email or WhatsApp with someone whose first language isn’t English it can be difficult. Words are lost in translation and every bit of conversation isn’t picked up. This was not the case at all with Luigi and Amalfi Coast Tour! He communicated, flawlessly, both in person during our tour and prior to touring together. From his attire to his attitude – Luigi exudes professionalism. He was prompt with his replies prior to our tour. He was prompt with his arrivals and was always where he said he’d be – when he said he’d be there. 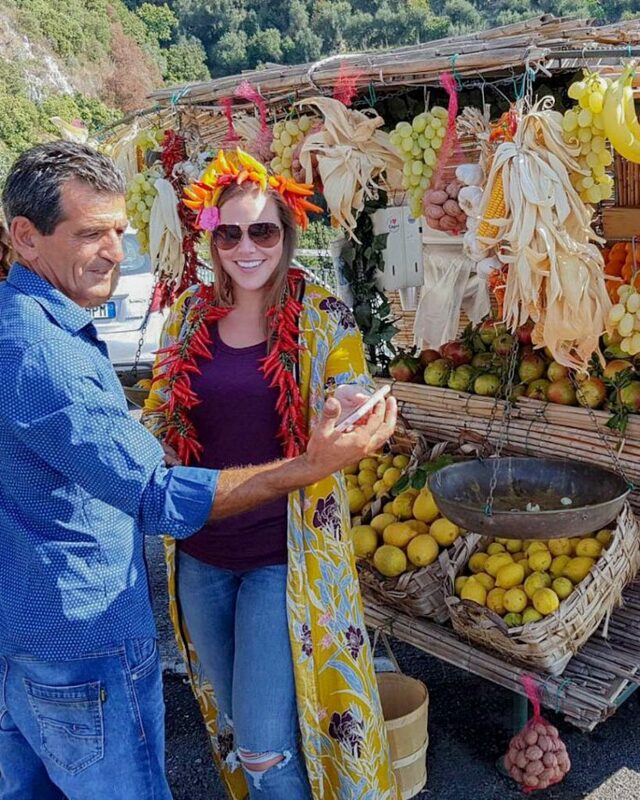 If you’re going to tour the Amalfi Coast – you want to ensure you tour with someone who takes their business seriously and Luigi definitely does! Let’s keep it real, if you don’t like your job – you’ll probably exude that negative energy. Luigi’s energy projects the happiest vibes! He’s friendly and excited to show tourists around the Amalfi Coast. His energy and genuine happiness totally add to the tour! Look at that smile! Luigi was also happy to take plenty of selfies along our tour! 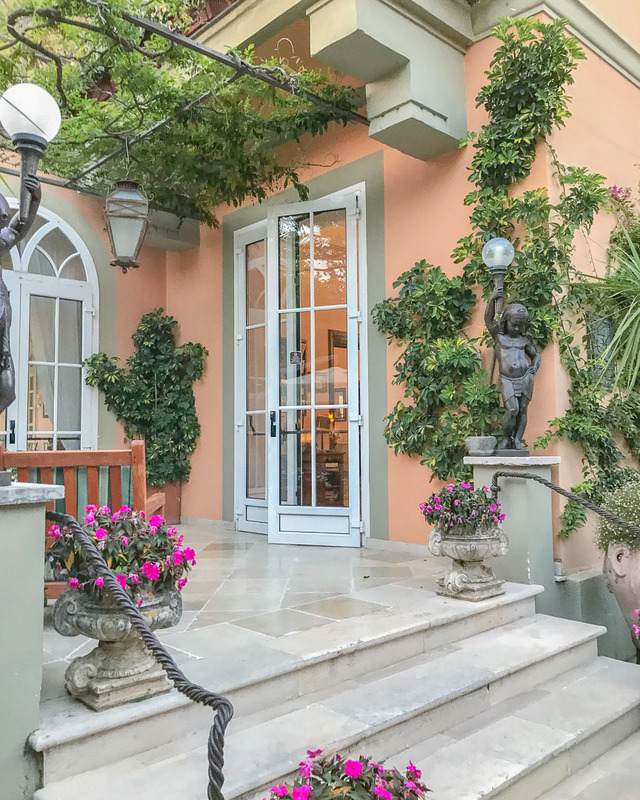 In my 5 Day Amalfi Coast Itinerary post I discuss a transfer that I took from Sorrento to the boat that departed for Capri. This transfer was crowded and packed out. I literally had to sit, squished, with three other people in a row of seats that was designed for three – not four. 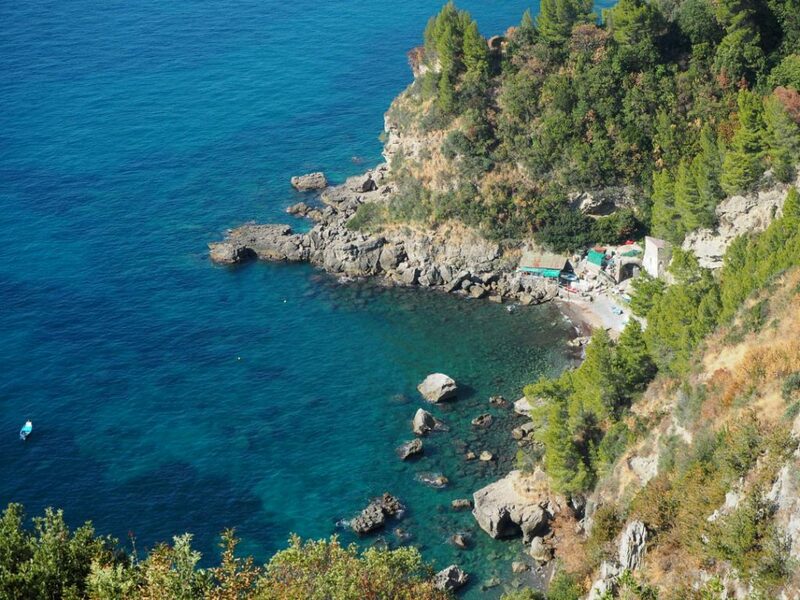 This can be very typical along the coast which makes Luigi and Amalfi Coast Tour even better. The luxurious, comfortable car we drove around the coast had plenty of space and made it exciting, not exhausting, to take in the views and hues of the coast! Luigi’s most redeeming quality (to me) was that he didn’t once seem annoyed with the heaps of questions my mother and myself had for Luigi. My moms questions about the gardening along the coast, my questions about the touring along the coast – were all answered with a smile. 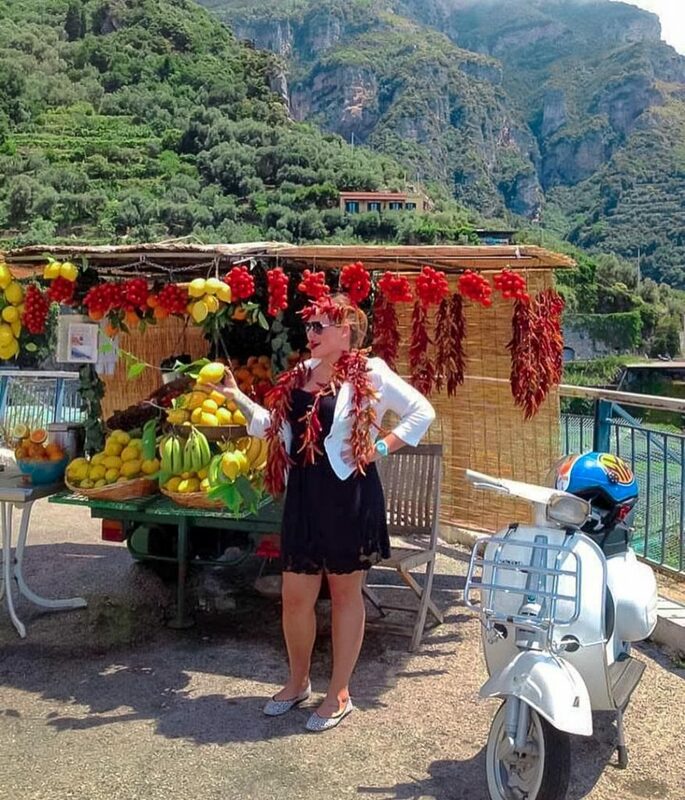 The best part of touring with Luigi and Amalfi Coast Tour? That it can be whatever you want it to be. For myself – it was exploring views and hues of the coast that I had never experienced before. For my mom – it was learning about the cascading, organic gardens along the entire coast. We had two very different tours – all in the same day – on the same tour! The customizability of the tours can assist everyone in your group with having a great tour and getting exactly what they want out of the tour! 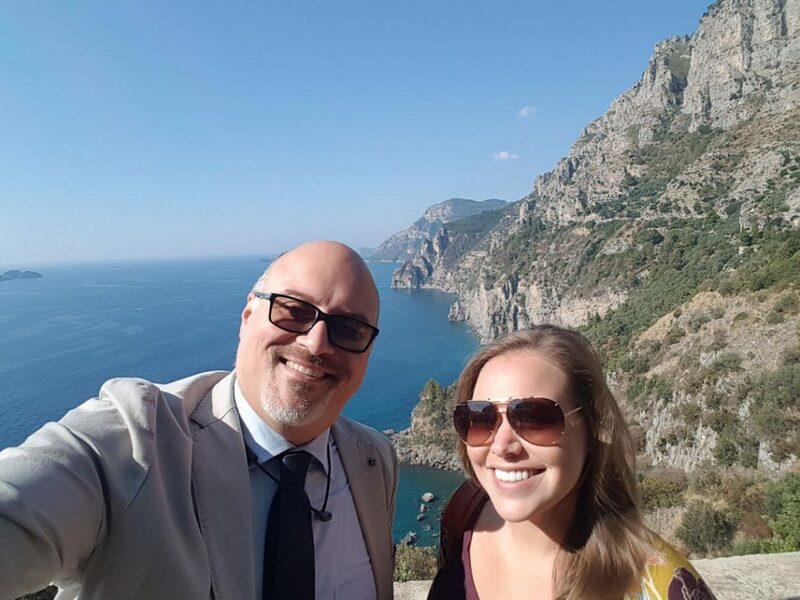 If you’re heading to the Amalfi Coast you have to contact Luigi of Amalfi Coast Tour for your private Amalfi Coast Tours! 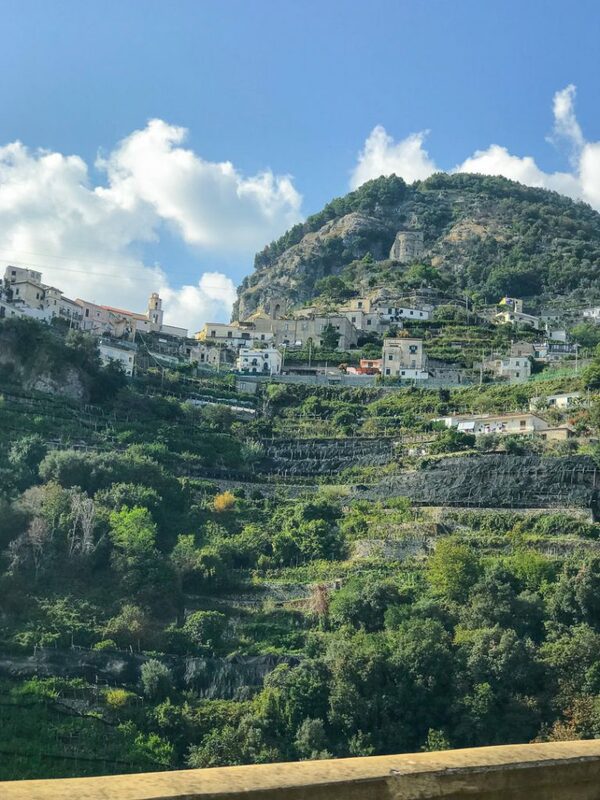 There is truly no better way to see the Amalfi Coast than on an escorted tour and Luigi and Amalfi Coast Tour go above and beyond to ensure you get your fill of the Amalfi Coast on their tours! 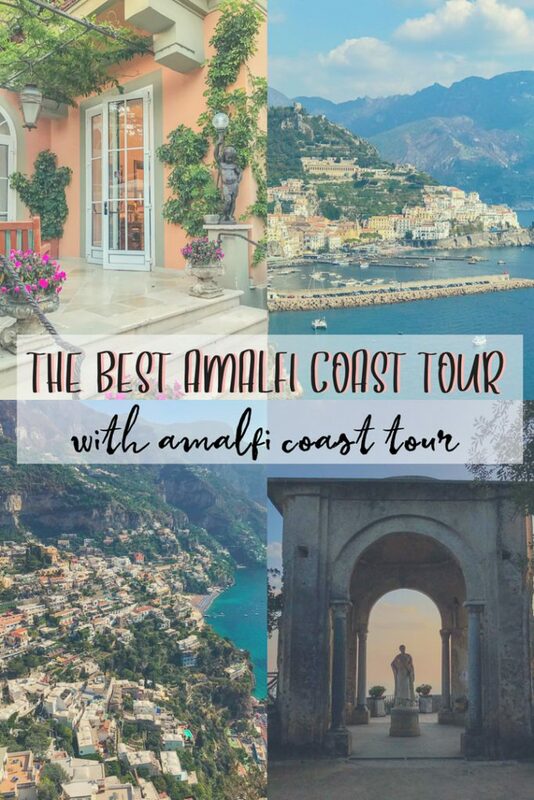 Disclaimer: I was hosted by Luigi and Amafli Coast Tour as a guest on my tour. My opinions, as always, remain my own. I pretty much did the same thing on my own minus few of those tiny villages. I wish I had Luigi to show us around now!! 🙂 Ohh and I need to find that fruit stall guy next time I visit Amalfi coast. His name is Salvatore! I have to update the article with his name, he was such a happy guy. Luigi is totally the best in the business when it comes to tours around Amalfi!